Welcome to Slí Beatha Float House! Slí Beatha (Shlee Baha) Float House. 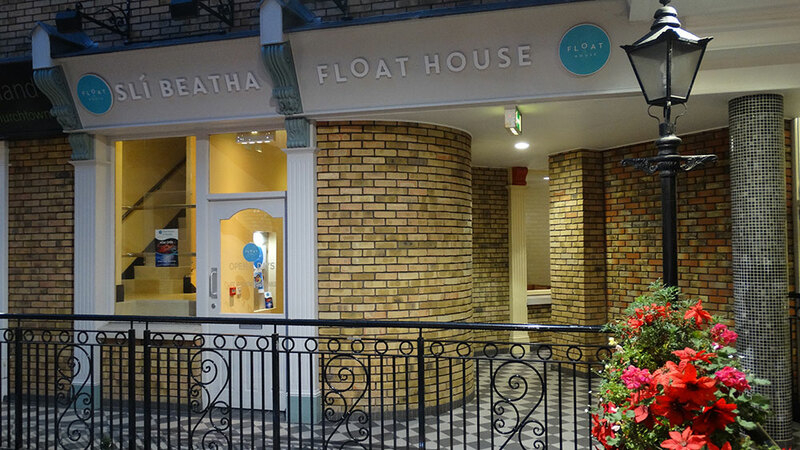 Float Centre specialising in Floatation Therapy, based in Naas Town Centre. Come Float with us here at Slí Beatha Float House. Our purpose is to provide you with a clean,relaxed and tranquil environment so to facilitate you with the ultimate Floatation experience and help you with your personal growth. For some floatation therapy provides the ultimate in relaxation and recovery; others turn to floating to boost creativity and visualization; for everyone, floating offers a welcomed rest from the hustle and bustle of the modern-day world. Whatever reason you have for Floating we want to provide a top quality space for you so that you can perform at your best! • Floatation Therapy is a unique and powerful tool that is highly effective at combating chronic stress and its associated conditions. 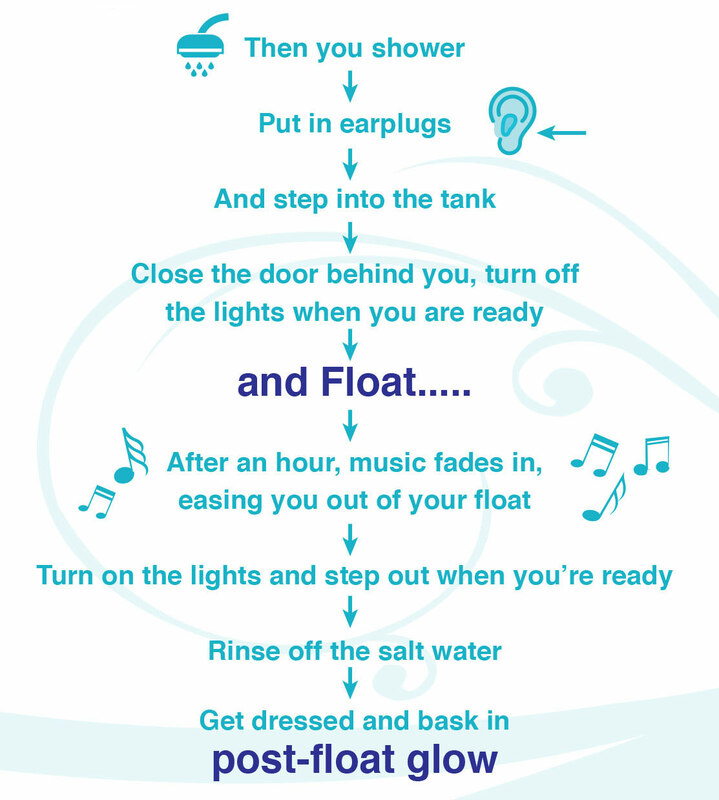 Floating is also highly enjoyable and creates profound experiences of relaxation and wellbeing. Floating combines the sensation of weightlessness with an experience known technically as Restricted Environment Stimulation Therapy (REST). Over 1,000 pounds of Epsom Salts (Magnesium Sulphate) are dissolved into a pool with water that is maintained at human skin temperature. This super-saturated Epsom Salt solution creates a hyper buoyant environment where users naturally float on the surface without any effort. The effortless floatation frees the user from the effects of gravity, facilitating a deep relaxation of the body and a state of meditative calm within the mind. From a health perspective, meditation has been shown to reduce blood pressure, calm the nervous system and increase alpha wave patterns in the brain. Recent studies suggest that it dramatically improves the immune system by reducing anxiety, worry and stress. Another great website is https://www.clinicalfloatation.com/. The official site dedicated to the medical use of clinical floatation therapy. This website provides an overview of an emerging new technology known as Floatation-REST (Reduced Environmental Stimulation Therapy) that appears to powerfully counter the deleterious effects of stress in modern life. During flotation, there’s an increase in full body circulation. Oxygen is delivered to cells with greater efficiency, and the brain is better able to function. The act of floating encourages the body to relax and allows its systems to function unimpeded. It is an incredible way to absorb magnesium and sulphate with the epsom salts which is excellant for a range of physical benefits. Many Professional athletes are incorporating regular floating into their routines, whether it be for the physical benefits, to sharpen their mental game, or both! Simply put, floating calms our overly stimulated systems and restores the body’s chemical and metabolic balance. Floatation therapy can help with a host of mental health issues such as anxiety, PTSD, ADD, and ADHD. Floating in the dark is a profoundly serene experience. Conditions like anxiety, depression & ADHD respond to the process of calming the mind. With no sensory input the continuous flow of pointless negative thoughts slows right down. For once, you can be in touch with your true self. Studies also show that flotation therapy decreases stress hormones such as cortisol. Other benefits include reduction in arthritis, balancing of the left and right brain, regulation of sleeping patterns and detoxification. You don’t need to bring anything but yourself. We’ll cover the basics together and answer your questions. Have some complimentary tea with us if you’d like and float on. Purchases here will be automatically added to your account and will be redeemable once you book in for your float. No – your skin doesn’t even prune up. You do absorb a lot of magnesium from the Epsom salt which has oodles of benefits. Is this new-agey mumbo jumbo? The first flotation tank was developed in 1954 by the American neurophysiologist Professor Dr. John C. Lilly while working at the National Institutes of Mental Health (NIMH) in Maryland.USA. In 1982, International REST Investigators Society (IRIS) was founded in order to give the increased number of REST researchers a platform to share their research findings. For several years float tanks were solely used by researchers in university laboratories or by private individuals. Absolutely! There will be a womb within a womb! Floating can relieve a lot of the aches and pains caused by pregnancy. If you are in your third trimester, or have any concerns, please consult with your physician before coming in. Don’t drink coffee for several hours beforehand (it can make your system jittery). Also, don’t shave or wax since the salt water can irritate your skin. Eating a light meal about an hour to 90 minutes ahead of time stops your stomach from sounding like an angry monster while you float. Other than that, there’s no specific preparation needed. What do I wear in the tanks? How many times should I float? 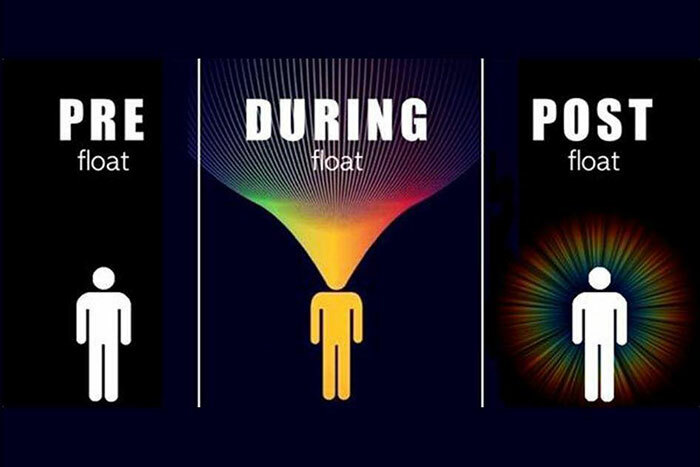 The more regularly you float the better. Just like any activity, the more you practice the better you become, and the more cumulative effects you will see. How will I know when my time is finished? At the beginning of your session there is 10 minutes of music to allow you to relax and then a golden silence for 45mins. In the last five minutes the music will fade back in to ease you back to out of your float. No. Some people fall asleep, but the water is so buoyant that you stay afloat. 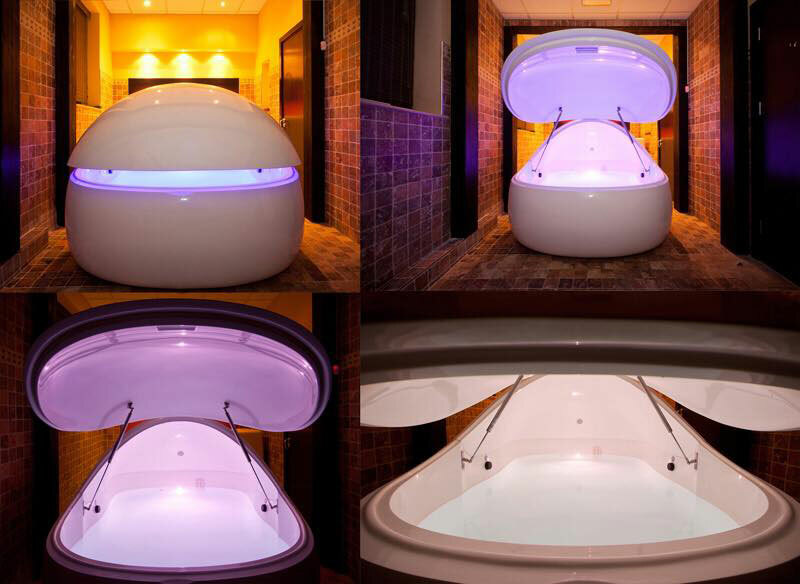 Our i-sopod is a revolutionary float pod packed with superior features and technologies. It is 8ft 6″ long by 5ft 6″ wide with lots of space to manoeuvre around, you can get in and out whenever you like. You control the opening of the pod and even the light, to ensure your experience is right for you. People worried about claustrophobia consistently report no problems with floating. You’re always in control of your environment and can get out at any time. Tried out a float out of pure curiosity. While waiting for my appointment, I did some research online and the reported benefits seemed a little too good to be true. Still, I went with an open mind and fully embraced the experience and I'm really glad I did! The staff at Slí Beatha were excellent, very friendly and went through everything before floating. The place was very clean and the atmosphere was calm and relaxed. I didn't need to bring anything with me, everything was provided. The float was fantastic. I thought before going that I wouldn't be able to properly switch off. especially when I hate small spaces, but I was so comfortable that it was impossible not to, I think I may have even slept for a bit! When the float was over I felt more calm and relaxed than I have done for years, back pain gone, neck pain gone and headache gone, I felt like a new man, I never expected that I would get that much out of one float and the effects feel like they lasted for a few days after. After that, I bought the introductory package for 3 floats and will definitely continue to go after that, even though I have to travel from Waterford! I've been telling everyone about it since, go with an open mind and you will NOT be disappointed! I had my first float experience on Saturday and I could not recommend it enough. Running late, tired and stressed, Pat us greeted on arrival and explained the full process of the float. I was anxious about the pod, it's size and having the door closed in particular... There was no need for me to worry. Having been walked through the treatment I was not sure whether I would close the pod until I got in, but I did and it certainly adds to the experience. Nice to have the option if you are nervous though! I spent the first 10 - 15 minutes with my head whirring and feeling a little anxious. . I was unsure if or how I would relax at all, but eventually I did. My head switched off! I think I even fell asleep. . A really relaxing experience, but the best is yet to come. I have being feeling more benefits since. I have two amazing nights sleep, not a regular occurrence. I can't wait to go back. I am a float convert. Just a short note on Sli Beatha itself. The space is lovely, really calming. Great facilities to bring yourself back to reality, dry your hair, shower etc, after your float. When they say you do jot need anything with you, they mean it. Pat was really helpful, a wealth of information and passion and someone who had first hand experiences the benefits of floating. I have told everyone I know that it is a must! Had my first session yesterday. Great experience!!! I feel brilliant today, best sleep in a long time and woke up pain free. I'd highly recommend it to everyone. Plus brilliant and friendly service. Oh my god. I went in so stiff, sore and stressed. I could hardly walk in the door. An amazing experience. I can't remember the last time I felt so relaxed and I walked out feeling amazing. All of the stiffness gone. I would highly recommend. Had a float there last Saturday, excellent time. It's some years since I have floated. This has to be one of the best places I've been. Best of luck hope you are around for along time. Information published on this web site is provided for the use of its visitors. Although care has been taken to ensure technical and factual accuracy, some errors may occur. No guarantee is given of the accuracy or completeness of information on these pages. Please be aware that Slí Beatha Float House may alter the information on its web site from time to time. Slí Beatha Float House shall have no liability arising from the use by any party of the information on this web site. Slí Beatha Float House exclude all liability for contamination or damage caused by any virus or electronic transmission. We are located in Naas Town Centre. Address: Unit 33 Naas Town Centre, Dublin Road, Naas, Co. Kildare, W91 AH02. If you have questions or need additional information, please call (087) 460 5005, email info@floathouse.ie or use our Contact Form below! 2019 © Copyright Slí Beatha Float House. All Rights Reserved. Web design by Bridge Web & Media.